Sarah Merson hasn't had the easiest life. She's been bouncing from foster home from foster home since she was three. Sarah's life has been full of poverty and difficult circumstances. To make matters worse, Sarah has a memory that works more efficiently than most. In some ways she has a photographic memory, but she also remembers her experiences in vivid detail. She cannot forget the murder of her parents and she often finds herself drawn back into that moment. Her mind forces her to relieve experiences - both positive and negative. Sarah cannot believe her luck when she receives a coveted scholarship to an exclusive boarding school in Maine, Sanctuary Bay. She feels that her life might be changing for the better. She tries to put aside her mistrust and focus on making friends. Sarah knows that fitting in and doing well at Sanctuary Bay can open doors for her in the future that will allow her to get into the best colleges and have the most lucrative career. The connections at Sanctuary Bay will open doors for Sarah she never imagined as possibilities, but she soon learns that something sinister is at foot at the picturesque school. Sarah will have to decide what's more important - her integrity or her ambition. 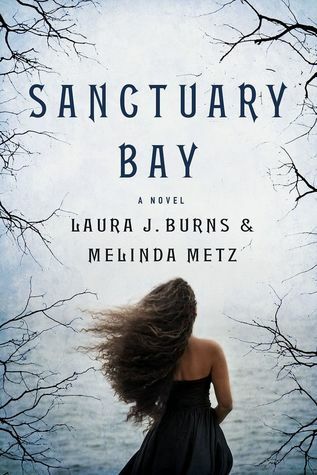 She must find the courage to do the right thing and get to the bottom of the mystery of Sanctuary Bay. I've always been attracted to boarding school settings. As a teen part of me always wanted to experience life in a boarding school. There is something glamorous and intriguing about it. I can say without a doubt though, Sanctuary Bay is not the boarding school experience I wanted. This school is full of some messed up situations and characters that can be unlikable. By the end, I ended up liking Sarah and Ethan, but they didn't always make it easy for me. I can't go into details about the messed up situations because it would ruin the story, but just be prepared. I didn't expect this one to be so dark. I also can't recommend it to younger teens due to some situations that occur; there were moments when this felt more New Adult than Young Adult. All in all, I found this to be a creepy and dark mystery with elements of a thriller and a smattering of science fiction elements. It was a creative spin that worked well with the boarding school setting. I was compelled to find out what was going on at Sanctuary Bay. One Last Gripe: I found the ending unsatisfying and I still have some unresolved questions. Favorite Thing About This Book: The twist was unexpected. I had no idea it was coming. First Sentence: Daddy pressed his finger to her lips, shushing Sarah quiet as he slid the door to the tunnel back on. In this genre-bending YA thriller, will Sarah Merson's shiny new prep school change her life forever or bring it to a dark and sinister end? 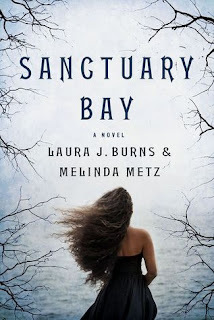 In this genre-bending YA thriller, Sanctuary Bay by Laura J. Burns and Melinda Metz, Sarah's new school may seem like an idyllic temple of learning, but as she unearths years of terrifying history and manipulation, she discovers this "school" is something much more sinister. OOhh nice!! I LOVED this author duo's first duology some years ago and was ecstatic to hear they had a new one coming out! And a mystery one at that! Glad to hear you enjoyed it for the most part! Nice review! I'll have to check out some of their other work. I stumbled across your post when hunting for book giveaways and the like and I really appreciate how you break down the books you've reviewed! :) Definitely a new follower! Thank you! We always love hearing that others enjoy the blog.